Listening to this was a chore from start to finish and there is nothing of value or any good ideas to be salvaged. The music is guided by the three types of vocals present here. First we have the high pitched shriek which signifies the band utilizing their trademark keyboard oriented attack. The mid pitched shrieks go over the overtly hipster segments that are taken from Deafheaven and the like. The lower growls goes with the rehashed Blackened Death metal tropes. From there the band decides to add various sung vocals and other aesthetic effects as some form of gimmick. The gimmick being the centerpiece and climax for each song. The modern sterile production doesn’t allow the riffs to hide behind the keyboard as every stolen melody is heard and when the band has no ideas they have no problem resorting to simple chugs and just adding rhythmic intensity without complementing the music at all. The better moments of this album are when the band just plagiarizes itself and repeats the same ideas ad nauseam to the point of forgetting the music is there. There is a very weird Bal-Sagoth tendency to increase the tension fairly early within the song as if they were attempting to reach a climax prematurely only for the music to reset itself to a point of no momentum and to drone on until some vocal arrangements singing fairly obvious pop melodies conclude the song and temporarily end the nightmare that listening to this album is. 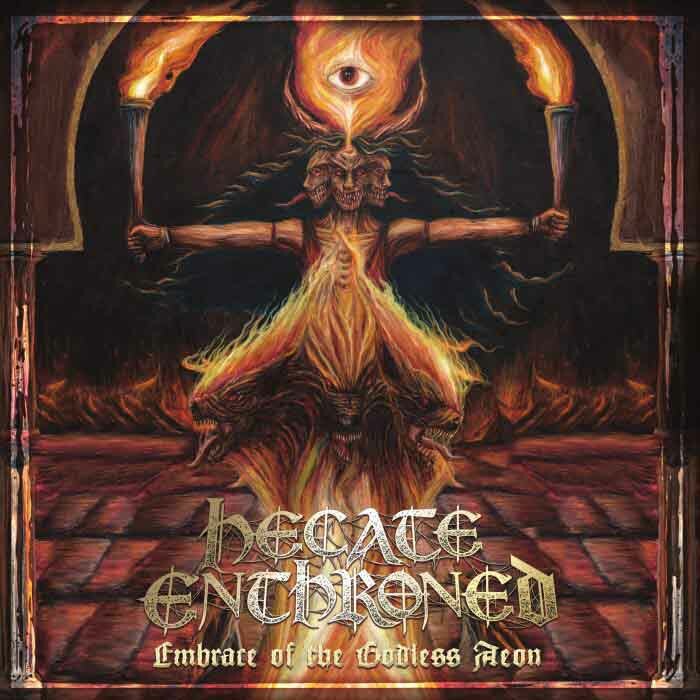 Hecate Enthroned should remove this from circulation and decide whether they actually make music, hopefully the female vocalist that they rely upon is being compensated financially for being the central piece to most of the «compositions». The band must start from scratch and begin by analyzing what made Black metal powerful and then learn to compose without taking in aesthetics before they can hope to make worthwhile music. This seems set to be the worst thing I will listen to this year. Malevolent Creation just released their new album and it’s already a death metal classic. Says my good ol buddies at BNR Metal Pages ! Now, there’s a blast from the past.